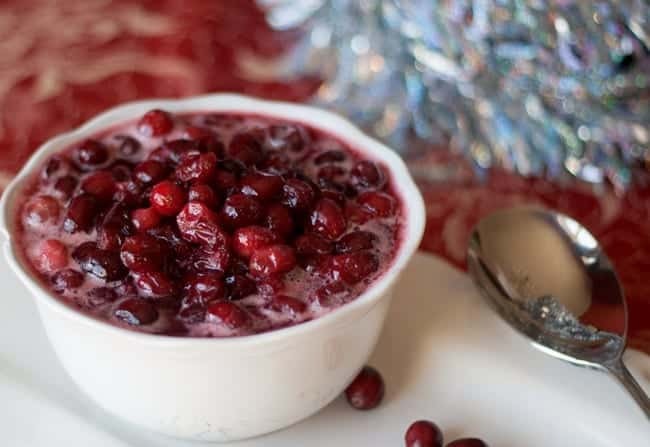 Whether you’re looking for a fresh homemade cranberry sauce recipe for Thanksgiving, Christmas, Easter or just because, our homemade cranberry sauce is so easy to make and so darned delicious. As we like to say: easy peasy. And if we say something is easy to make, it is. Because why mess around in the kitchen struggling to make complicated recipes when there is something just as good (if not better) that takes nearly no effort, but tastes and looks like you’ve spent tons of time on it. We all know its not about how long it takes to make something, but about the end product. And this is one end product that will make it look like you put a ton of effort into making your cranberry sauce just right. All that is required are just a few simple ingredients: fresh cranberries, sugar, orange juice. A recipe with just 3 ingredients- for real. And this isn’t one of those 3-ingredient recipes that includes some random pre-made mix as one of the ingredients. No. All you will find here are simple, easy to find, real ingredients. Sweet to curb the tang. Cranberry sauce is one of those classic holiday staples that too many people these days take straight out of a can. If they only knew how easy real cranberry sauce was to make, more people would be mixing together this quick 10-12 minute recipe. Who say all good things take time? Combine all ingredients in a saucepan. Stir. Cook over medium heat for 10-12 minutes or the cranberries start to split. Remove from heat and chill in refrigerator. 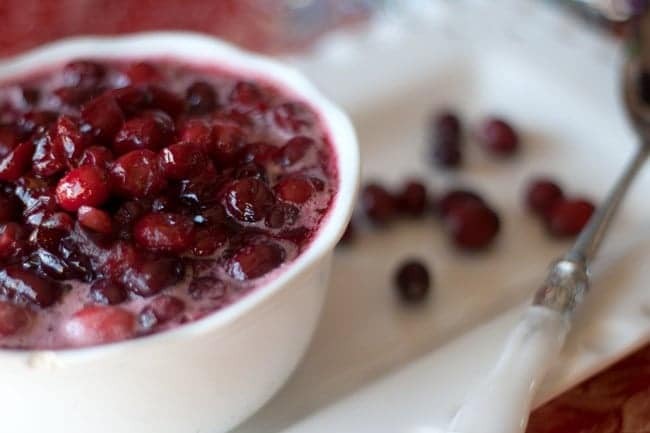 Cranberry sauce will thicken as it cools down.